I want to steal this look. Where do I cop everything? What's the shirt? I've looked at pages of shirts on eBay. Nothing from Pendleton or Woolrich looked like that. Some Levi's shirts were closer but still far off. Can we get sauce on this here barn coat, pardner? 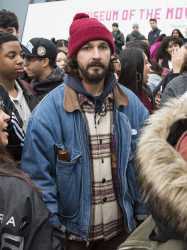 Does /fa/ still like Shia LaBeouf?